Medieval bronze buckle is a reconstruction of samples of the 130-1500 years. This cast piece is completely handcrafted. In those times, belt was an essential attribute of armor and casual wear. Pilgrims and knights had lots of buckles in their outfits. As so many things had to be fastened and fixed: baldric, belt, cloak, helmet, shield, backup weapon. Belt buckle was not only a locking item, but also a sign of wealth and wearer’s position in society. This bronze buckle resembles peculiarities of style and fashion of the XIII-XV centuries. Our reconstruction of medieval buckle is perfect as for men' costume, so for women's garment. Buckle consists of two connected ovals and locking prong. 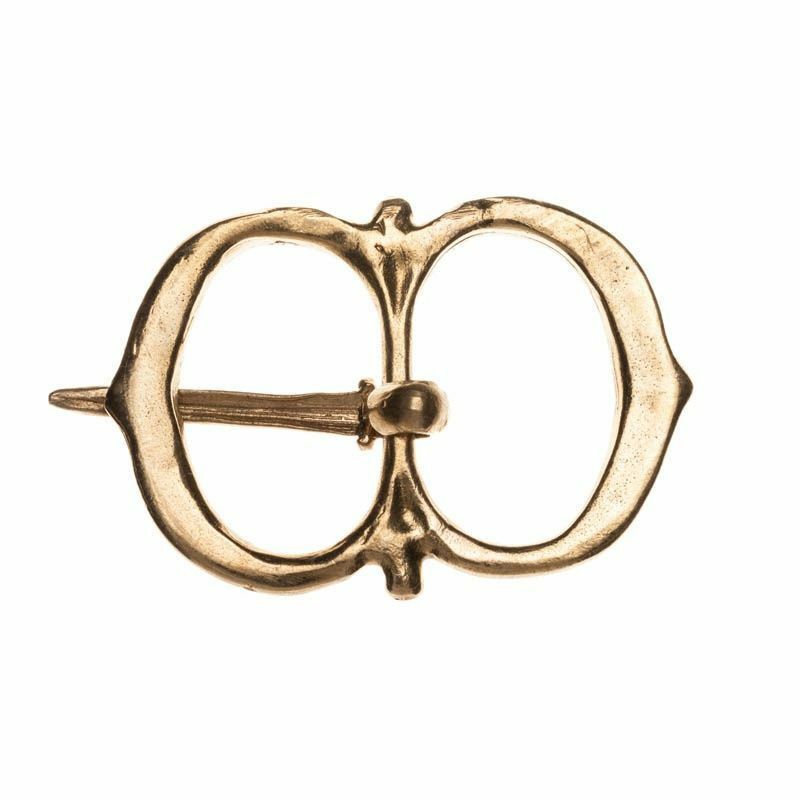 Together with medieval belt strapend "Crescent" of the XIV-XV centuries, this laconic and noble buckle will look perfect on the belt of brown or black leather. Buckle size: 35 x 50 mm. Custom medieval English buckle is dated by the late XIV – early XV centuries. Accessories and attires for civil and military garments played a great role in the fashion of medieval England. Paintings of artists and archaeological findings prove that. 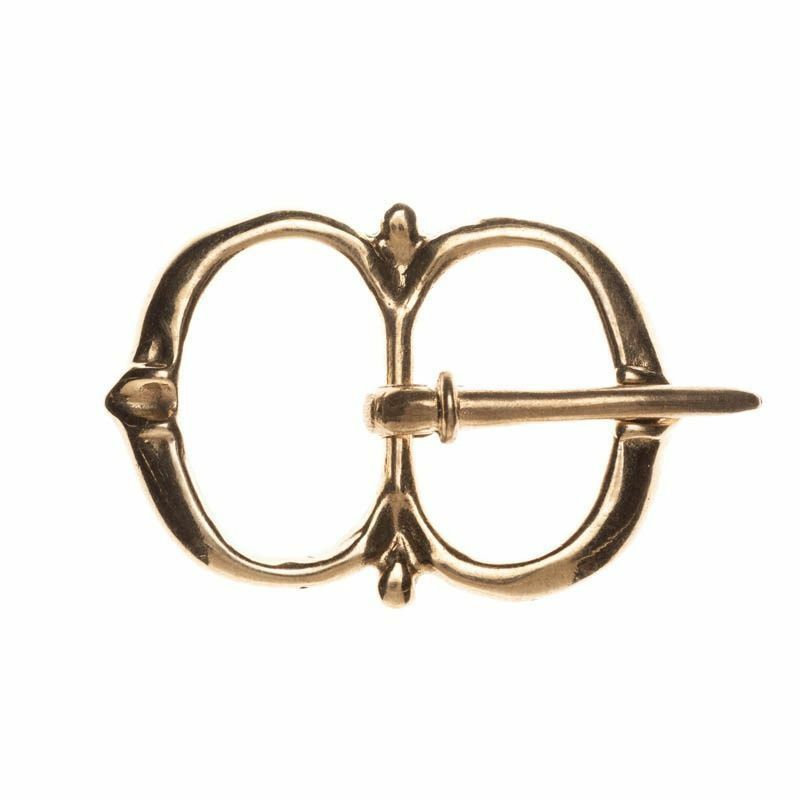 Cast bronze buckle has laconic ad simple design. We use only high-quality materials for manufacture, so such buckle will be durable during the years. Also, we offer English medieval decorative custom belt strapend that perfectly matches this buckle. Material: bronze. Buckle size: 34 x 40 mm. Strap width: 28-30 mm. ..